I never meant to be so spotty with my updates here. Post-treatment life came slamming back into our world like a bull in a china shop. No rest for the weary. (Or, that's just how things are with a one-year-old in tow.) Slowly but surely, our lives are getting back to - dare I say it? - normal. As with most survivors, it's a new normal, redefined now that cancer is always lurking like a bad houseguest that will probably sleep on our couch for the next six months. It's a normal still punctuated by doctors visits, although they're less frequent now. (I had my one-month follow-up with my radiation oncologist yesterday. One month!) And while shopping at Target, I got asked who my hairdresser was. Happy tears welled up as I explained this is how it's growing in post-chemo. I am almost due for a trim, which kinda blows my mind it's so normal. Life goes on. Hair grows back. At the beginning of all this, someone who'd been through it told me it took his body a year to recover. At the time, and even during chemo, I didn't understand how that could be true. I hiked and went to yoga as often as I could. 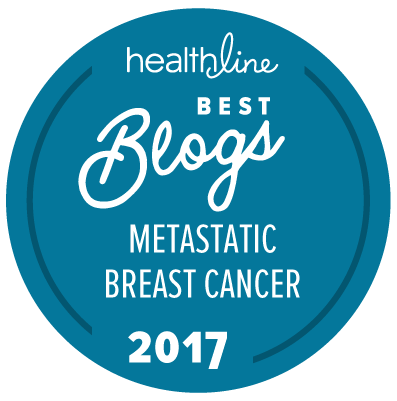 It helped keep my energy up - and, honestly - I didn't feel too terrible during most of chemo. Radiation sapped my energy in a whole different way, creeping up on me like dawn in Vegas. And the cumulative effects of treatment - or maybe it's just Bug being a toddler; are all moms this tired? - make me feel like I've aged ten years during this process. Still, I'll take it. Aging is better than not. Every once in awhile, I still feel that prickly wave of fear creep up the back of my neck and freeze me in my tracks. Oddly, and selfishly, hearing the afternoon traffic report on NPR explaining that the snarled mess I'm stuck in is due to a fatal crash takes some of the fear away, reminding me that any of us could go, anytime. It's a morbid reassurance, I know. A couple of weeks ago, I made lasagna for the family of the woman I knew who passed away. I browned the sausage, chopped fresh basil and parsley, stirred in tomatoes. I layered it with four different types of cheese, because there's love in cheese, isn't there? And then I wondered whether I could have a few more years if I keep doing nice things for people. Isn't that how karma's supposed to work? I must have done something right, because Quinn continues to inspire me with his belly laughs, his mischievous grins, his fascination with our ceiling fans. As my body recovers, I have his wide-eyed wonder to greet me at the beginning of each day. It's making the mental part of my recovery so much easier, even if chasing him does take its toll physically. Love to you, sweetie. Enjoy the sunsets and cuddles.